Are You Missing Massive Opportunities in Your Business? A common problem for a Big Data or data analytics program is a lack of quantifiable data quality measures and processes that support analytics for business improvement. In other words, there’s so much data you have, it becomes overwhelming to the point, you don’t know where to start..
…that’s where this training comes in and helps you discover how data standards and practices can impact and improve business objectives such as reduced downtime and increased safety and efficiency. How to communicate the value of data as a corporate asset to management so you can show them opportunities for cost savings and revenue generation. In addition to this, we share with you how you can apply industry best practices to the collection, management, and delivery of technical data in support of Big Data and analytics initiatives and programs within your company. Discover how to apply methodologies to data from diverse and disparate sources, both internal and external to your organization, and aligning data governance, quality and security process with optimum accepted practices from industry trade organizations. You also get to match your current skills progress to industry benchmarks and to train for certification. …this certification gives you a leg up on the competition. 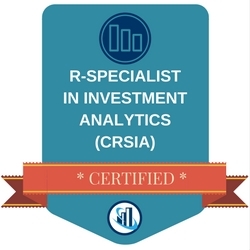 Unlike any other Data Analyst, you’ll have a certificate AND badge to prove your Data Analytics expertise from a source that is trusted by global businesses – which is what REALLY counts. More importantly, it will make you a better Data Analytics Professional. …this course and certification is for you. …your team should get certified. Have peace of mind your Investment Analysts have a standardised level of skills and competency. If you’re taking the course for yourself, there’s no obligation to get certified, you can also just take the course itself. Either way, this training gives you value for a crucial part of your business. You will need to bring a laptop computer to perform all the course exercises. This training is non-industry specific and may be applied across various industries. 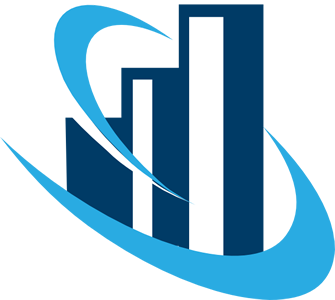 Any technical staff dealing with curation of technical data in support of Big Data projects, business intelligence, or analytics. 3-5 years of experience with data processes. What do past clients say about the Instructor? “Very open interaction & discussion. Materials very relevant for my work. Many cases which help to put things into perspective. 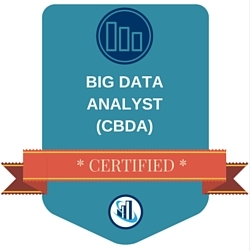 This digital badge designates you as a Certified Big Data Analyst (CBDA)™, which you may use on business cards, resumes, LinkedIn profiles, website profiles, email signatures and more. In addition to the Certificate of Completion for the course in general, if you successfully pass the Certification exam, you also receive a CBDA™ Certificate to mark your achievement. As part of your successful certification, you also receive a full year's Charter Membership to the EH Brain Trust Mastermind to help you keep up-to-date on the industry issues. In order to keep your status as a CBDA™ in good standing, you need to regularly take Continuing Professional Development courses. …if you book your seat by the Super Early Bird deadline, your investment is only $5175. You get at least $31,534.28 of value for just $5175. At the regular fee, it comes to just $14.18 per day…the price of a nice lunch! Don't Need the Instructor Q&A Sessions? If you don't need the Instructor Q&A sessions, feel free to select the Self-Study only online distance learning option below. …the live course is limited to only 18 seats and we send out an announcement of this course to our internal list of 97,439 contacts in our database (this doesn’t even include new contacts we add to our list through external advertising & promotions too). Q: Is there an exam? A: No, the assessment is based upon your final R-project deliverable which you will complete by the end of the course. Q: What is the required grade to pass the assessment? A: You must achieve a 100% error-free R-Project to become certified. Q: Am I guaranteed to pass the assessment? The certification project is an unbiased project assessment meant to objectively evaluate a potential delegate's learning and ability to successfully complete a project deliverable.